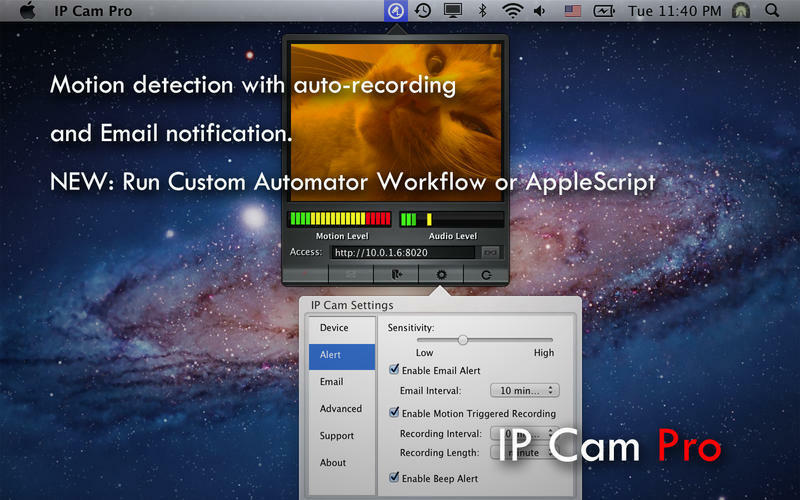 Turn your mac into a IP surveillance camera. Is there a better alternative to IP Cam Pro? Is IP Cam Pro really the best app in Security category? Will IP Cam Pro work good on macOS 10.13.4? 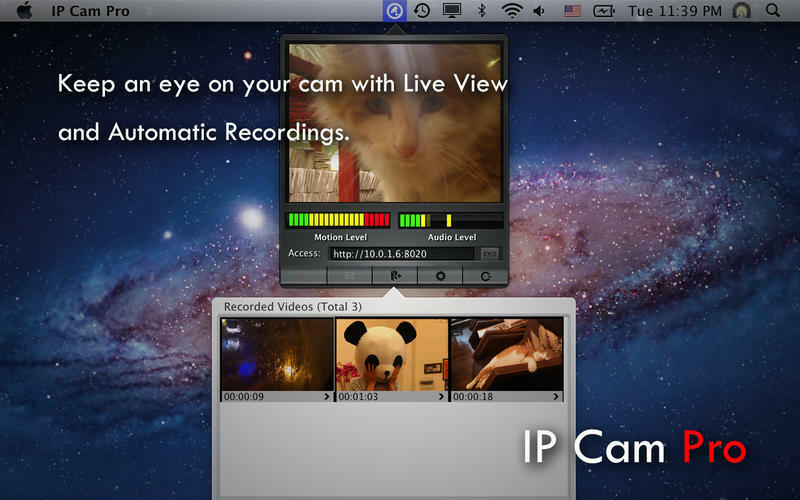 IP Cam Pro turns your mac into a IP surveillance camera (with audio). Run IP Cam on your mac, and via Wi-Fi network, you can view live video and audio captured by your mac's built in FaceTime camera (or any mac compatible USB/Firewire camera) on web browser from any computer. 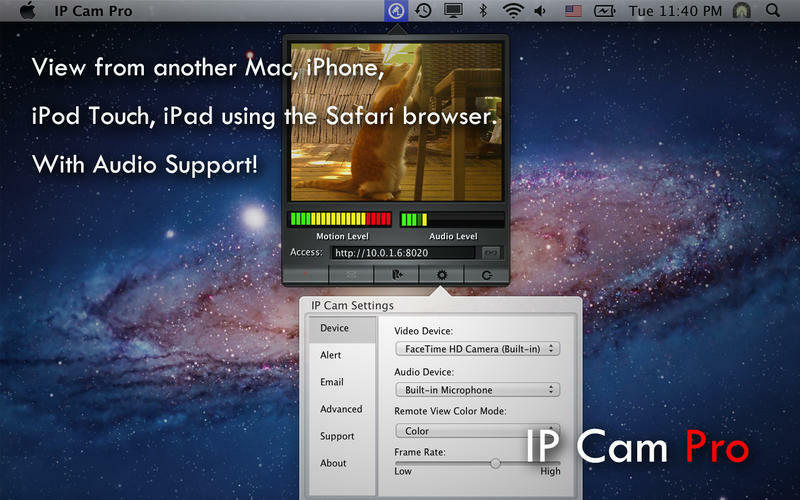 You can even view IP Cam Pro using Safari browser from another mobile device such as iPhone, iPad or iPod Touch. IP Cam Pro needs a review. Be the first to review this app and get the discussion started! IP Cam Pro needs a rating. Be the first to rate this app and get the discussion started! 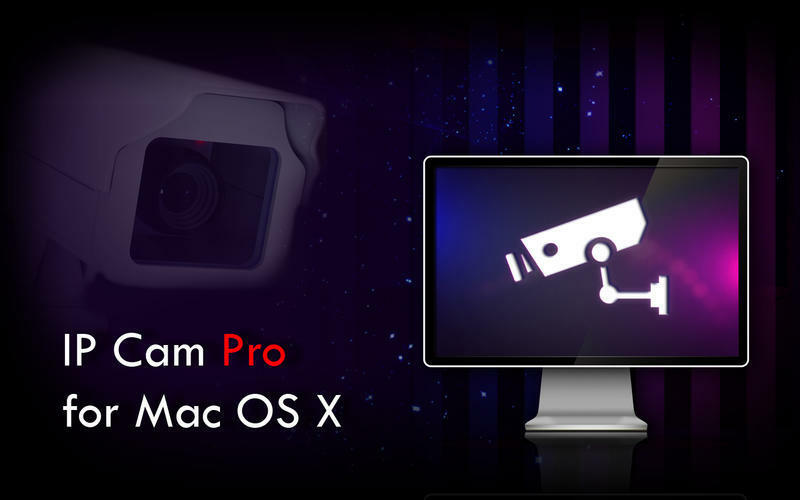 IP Cam Pro also supports audio capture, so you can remotely listen to the audio captured by mac's microphone while viewing live camera. Live video and audio capture from mac. 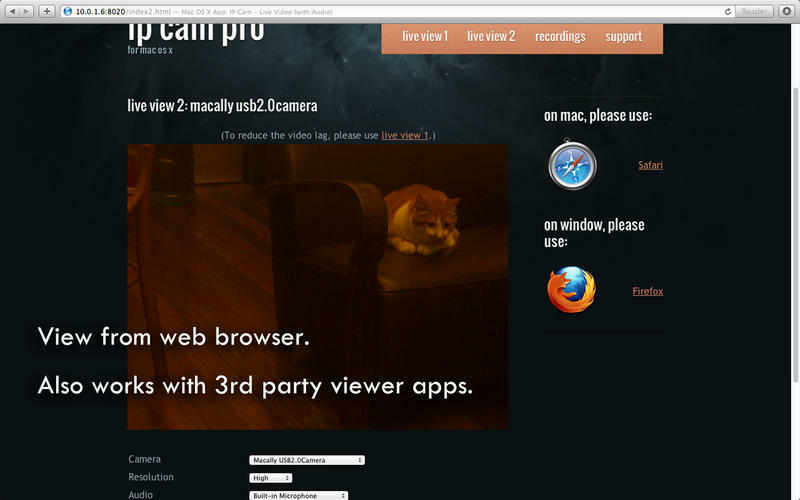 View from web browsers on any operating systems (without audio). View from Safari browser to get both audio and video. View from iPhone, iPod Touch, iPad using the Safari browser. Compatible with standard MJPEG streaming for viewing with 3rd party apps. Multi-Color Mode: Black and White, High Contrast and Night Vision. Remote recording and remote viewing of recorded videos. Motion detection and sound detection with email notification and automatic recording. Custom motion area selection such as windows or door. Trigger custom Applescript or Automator Workflow when motion or sound is detected. Quick access from mac’s status icons.